Alder Yarrow urges all wine lovers to contribute to the GoFundMe campaign to get the consumer’s voice heard in the upcoming Supreme Court case concerning interstate wine shipments. Kathleen Willcox reports on the disabilities law that is causing problems for some wineries. Lisa Johnston speaks with the Bourgogne Wine Board’s Amaury Devillard about the latest news from Burgundy. Drunken Cyclist has the latest news on the lawsuit against WTSO *Wines ‘till Sold Out, a case he’s been following for some time. Sarah Lehman reports on the sweet wine wines of Bordeaux, including Sauternes. 1 Wine Dude reports on the little known Tuscan region of Orcia. Crushed Grape Chronicles describes a mystery dinner and a tasting at Doubleback Winery in Walla Walla Washington. Brianne Cohen visits Kiona Vineyards and Winery in Red Mountain AVA, Washington. Reverse Wine Snob lists the best Thanksgiving Wines. Kelly Magyarics gets to know the other Cab, Cabernet Franc, and reviews several from California, Virginia, and New York. Miquel Hudin reviews Finca Barqueres 2016, a Carignan from DO Costers del Segre in Spain. Tom Lee profiles River’s Marie, a small winery in the Napa Valley. Vino Sphere reviews Dave Phinney’s Department 66, a French Grenache. Good Vitis reviews the 2016 Château Peybonhomme-les-Tours le blanc Bonhomme, a white Bordeaux. Tom Wark asks consumers to donate to a GoFundMe project to support getting the consumer’s voice heard in the upcoming Supreme Court case supporting interstate wine shipments. 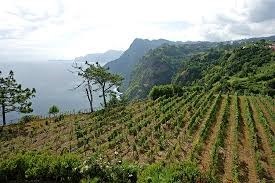 Mike Veseth, the Wine Economist, recounts the history of Madeira. Amanda Barnes tells the story of Mendoza’s Clos de los Siete, an enclosed vineyard owned by several producers, unusual in the new world. The Wine Curmudgeon has the stats on his blog visitors for 2018 and is giving away more prizes for Birthday Week. Allison Levine profiles the the Crus vineyards of Beaujolais. Foxress is an advocate for Albarino for Thanksgiving dinner. 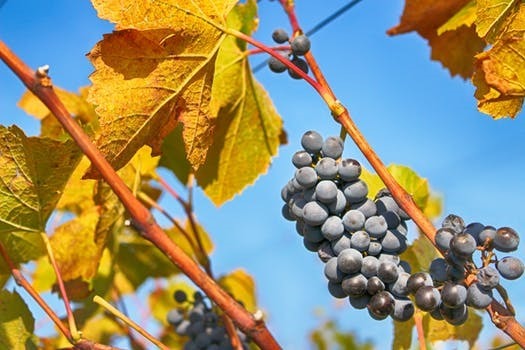 Susannah Gold continues her series on Italy’s indigenous varietals with Nieddera Nero, which is grown primarily in Sardinia. Vino-Sphere profiles the wines of San Diego County, an emerging wine regions with increasing quality. Austin Beeman shoots a short film covering harvest at Cristom Vineyards in Willamette Valley. Wine Country Getaways profiles the city of Bordeaux. Amber LeBeau calls New Zealand Sauvignon Blanc “the Coldplay of the wine world.” Ouch. Reverse Wine Snob reviews the La Posta Paulucci Malbec from Mendoza. The Drunken Cyclist is drinking Kir Royale these days, the cocktail made with sparkling wine, using Route 23’s flavored simple syrups. Michelle Williams reviews several California Zinfandels. 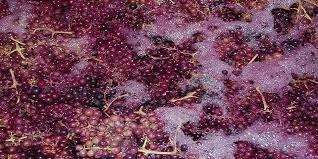 Tom Jarvis has a complete guide to carbonic maceration. The Wine Curmudgeon lists his most popular blog posts for 2018 and conducts his first Birthday week give away. Jeremy Parzen sends his best wishes to victims of the fires in California. Madeline Puckette has several suggestions for Thanksgiving Wine. Fredric Koeppel reviews the Zuccardi Serie A Bonarda 2016, Santa Rosa, from Argentina’s Mendoza region. Reverse Wine Snob reviews the 2015 Badgerhound Zinfandel from Ammunition Wines. Food Wine Click reviews the Paetra “K” Riesling Willamette Valley 2015 with food pairings. The Wine Daily reviews the Viader Proprietary Red Blend from Napa Valley. Aaron Nix Gomez reviews several wines of Brunello di Montalcino from the 1980’s. Karen MacNeil uses the differences between food and wine to explain the importance of metaphor in wine descriptions. Tom Wark celebrates his father, a bourbon drinker, on Veteran’s Day. Jamie Goode argues that drinking a wine at home is a different experience than drinking the same wine in a restaurant. Tim Gaiser distinguishes great wines from great wine experiences and the describes 5 of his most memorable experiences. Kathleen Willcox dives into the state of modern cooperage. Margaret Rand explores the rise of the private wine label. Alfonso Cevola, On the Wine Trail in Italy, explores what it means to give a “master class” and develops elements that every master class should have. The Wine Gourd explores the wine regions of Australia. Richard Hemming works out E.J. Gallo’s share of the worlds wine market. Amber LeBeau explores the top audiobooks on California wine history. In addition, she writes a thoughtful post on wine blogging and its relationship to other wine media. Jamie Goode profiles Lamoreaux Landing in New York’s Finger Lakes. Reverse Wine Snob reviews the 2016 Winehaven Minnesota Marquette Reserve and reviews the best Rosé Wines for under $20. Cheap Wine Ratings profiles Washington State’s Maryhill Winery. Cindy Rynning profiles Carmenère and reviews two from Chile’s Hacienda Araucano. 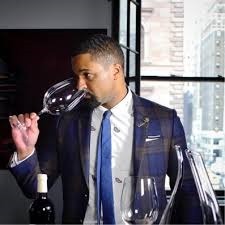 Martin Redmond’s Wine of the Day is the 2014 Bedrock Wine Co. Heritage Wine Evangelho Vineyard, a red blend from Contra Costa. Joey Casco reviews the 2017 Suhru Pinot Grigio from Long Island’s North Fork. JvB Uncorked recommends wines for Thanksgiving. Dallas Wine Chick reviews several Bordeaux-style wines from Virginia. BC Wine Trends reviews a Cabernet Sauvignon from Hidden Chapel in the Okanagan Valley. The Wine Curmudgeon also announces prizes for a week long celebration of his blog’s 11th birthday which begins on Monday. The Drunken Cyclist is giving away an evening with him at the Zinfandel Experience in San Francisco. Reverse Wine Snob reviews the AL Sauvignon Blanc from Wrath Wines, a wine in a can. Amber LeBeau reviews the 2012 El Puntido Rioja. The Wine Stalker reviews the 2017 Justin Bogaty Winemaker Selection Tannat from Virginia. Pam Strayer tastes wines from indigenous Italian grapes grown organically at a book launch party for Daniele Cernelli’s The Essential Guide to Italian wine. Elaine Chukan Brown promotes the European trade show ProWein as a venue for marketing U.S. wines. 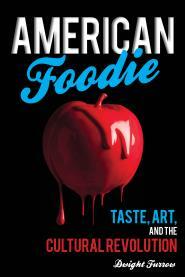 Tom Wark reviews Coffee and Wine: Two Worlds Compared by Morten Scholer. Amber LeBeau provides an insider’s peak into Champagne. Bob on Sonoma classifies categories of wine tourists. 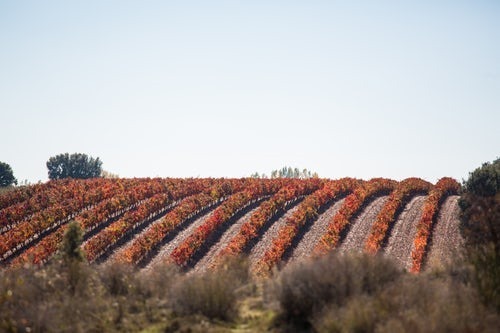 1 Wine Dude profiles Somontano, a little known appellation in Spain. The Drunken Cyclist spends a few days in Budapest. Quentin Sadler visits Friuli-Venezia Giulia. Tom Plant visits several wineries in San Diego County’s Ramona Valley. 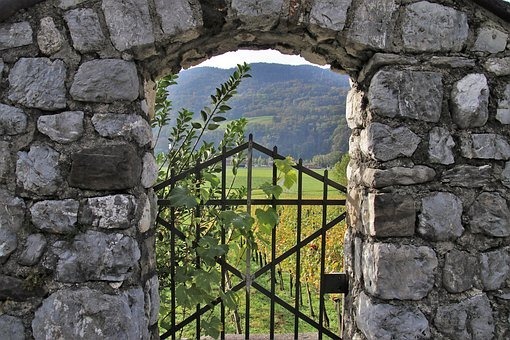 Fredric Koeppel reviews nine savory white wines ideal for autumn. Reverse Wine Snob discovers the best Italian wines for under $20. wineORL enjoys a vertical tasting of three vintages from Christian Moueix Ulysses. Appetite for wine profiles Farmhouse Wines, affordable natural wine from Cline Family Cellars. 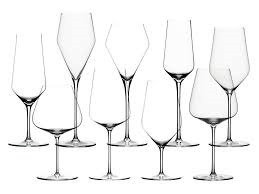 Madeline Puckette tests 5 of the world’s best wine glasses. Liza Zimmerman reports on the increased scrutiny of the three tier system by the courts. The Drunken Cyclist considers the pros and cons of attending VinItaly, the massive Italian trade show. The Wine Curmudgeon comments on wine delivery, wine taxes, and believe it or not, IHOP wine. Uber wine geek Amber LeBeau has plans for an expanded geekdom. Jeremy Parzen departs from his usual reflections on wine to reflect on the state of Jewry in the U.S. And Tom Wark gives us further reasons for reading Jeremy’s blog, Do Bianchi. Amanda Barnes, Around the World in 80 Harvests, covers the past and present of Central Otago with winemaker Grant Taylor of Valli Wine and discusses the grape varietals and viticulture of Central Otago in this post. Jamie Goode visits Red Newt Winery in the Finger Lakes. Vino Sphere reports on a wine and culinary experience at Three Rivers Winery in Walla Walla. Allison Levine samples several wines from Setúbal, a region in the southwest of Portugal. 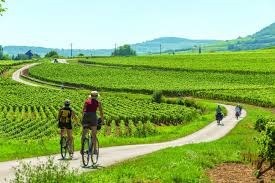 Becca Yeomans, The Academic Wino, has an interesting post summarizing data about what sorts of activities draw wine tourists to a region. Read ‘em and weep. 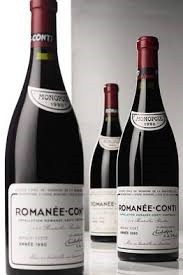 Natalie Sellers reports on the world’s most expensive wines. Madeline Puckette teaches us about orange wine. The Wine Curmudgeon gets curmudgeonly about restaurant wine lists and their inflated prices. Amber LeBeau is skeptical about the rapid expansion of Prosecco production and its effect on quality. A Most Particular Taste compares the virtues and intoxicating effects of wine and cannabis. Outwines reports on the lessons learned and the humbling experience of a blind tasting class with a Master of Wine. Jamie Goode reviews the Gantenbein Chardonnay 2014 from Switzerland. Enobytes tastes four Chablis from four different climats. Reverse Wine Snob reviews the Mas Fi Cava Brut from Penedes, Spain. Kathleen Willcox explains how millennials have redefined the role of sommelier. Tom Wark reminisces about Halloween of old. A group of Masters of Wine visits California with Elaine Chukan Brown. Julien Miquel tries to open a bottle of wine with a shoe. Jeremy Parzen has a Go Fund Me campaign for an ad protesting a confederate memorial. Tom Barras explains how to research what you’re drinking. Alfonso Cevola, On the Wine Trail in Italy, shares links to some his newspaper columns. For history buffs, Elizabeth’s Vines has the story of Vice Admiral Lord Nelson’s Naples connection and the Marsala wine he served his troops. Crushed Grape Chronicles visits Caderetta’s Southwind Vineyard in Walla Walla Washington. Reverse Wine Snob reviews the 2015 Avalon Blend a Zinfandel dominated blend from California. Tom Lee reviews the Proprietary Blend and Cabernet Sauvignon from William and Mary Winery with fruit sourced from Oak Knoll. Red Wine Please reviews the lineup from Gooseneck Vineyards which sources grapes and wine from around the world.